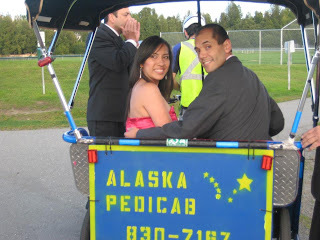 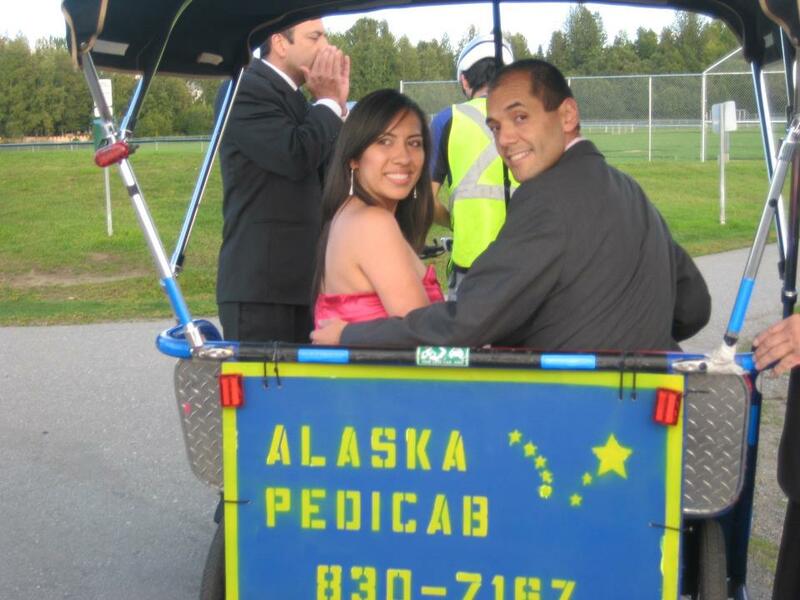 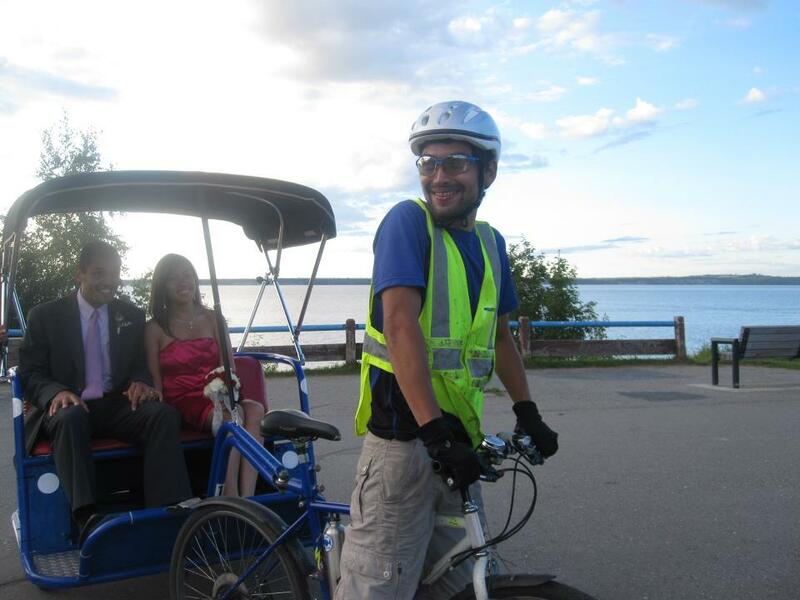 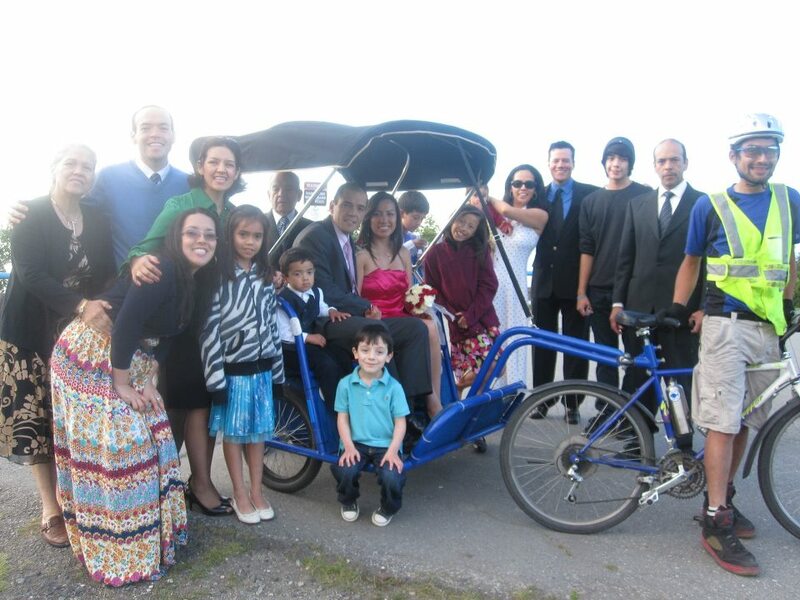 A special occasion happened to coincide with the pedicab that was peddaling in the area on a rather cold afternoon next to the water by the Anchorage Coastal Trail. 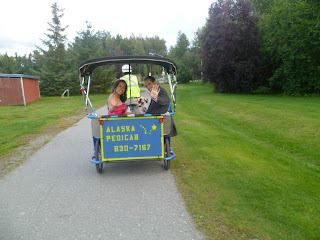 Ready for a Coastal Trail ride with Diana. 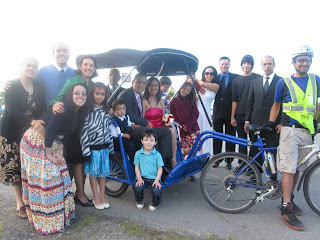 Would you believe that my whole family was there?